The application of aluminum foil in our daily life has greatly improved our life quality. 8011 packaging foil is used extensively in food packaging foil, container foil, pharmaceutical foil and etc. Packaging aluminum foil has an endless usage in varies industry. There are many good properties in 8011 packaging foil like isolation, thermal properties, and resistance with oxygen, light, moisture and bacteria. haomei Aluminum is experienced in the business of 8011 packaging foil since 1997. We enjoy a good relationship with our customers form home and abroad. For medicine foil, we can supply pure mill finished aluminum foil for blister foil. Isolation is the key advantage of 8011 packaging foil, so pharmaceutical can guarantee the safety of medicine. 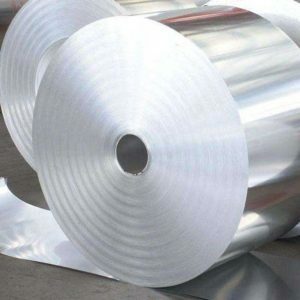 Pharmaceutical aluminum foil is resistance with oxygen, light, moisture and bacteria. When we are shopping in supermarket, we can see a mounts of tv diners packaged with aluminum foil. From aluminum covered meat or Aluminum packaged candies, 8011 packaging foil is speared in every corner. In domestic, aluminum packaging is approved in ovens since its superior thermal properties. Aluminum foil is featured with one side of bright side and another side of matt. 1100 for food package trays like baking trays and pie pans. There are numerous of aluminum container foil were produced in each year. 8011 packaging foil is conductive so it is also extensively used in cable foils. The recycle aluminum foil is environmental friendly and has created a positive take away culture, which is a successful industrial line applied in beverage container. So there are numerous recycling profit can be gained in each year. It is an economical way of both aluminum manufacturers and consumers.